> Mon Pack>Street surfing>Gravity 45" Spoon Nose "Twin Palms"
The 9.5" wide longboard offers plenty of room to move around and walk the board. 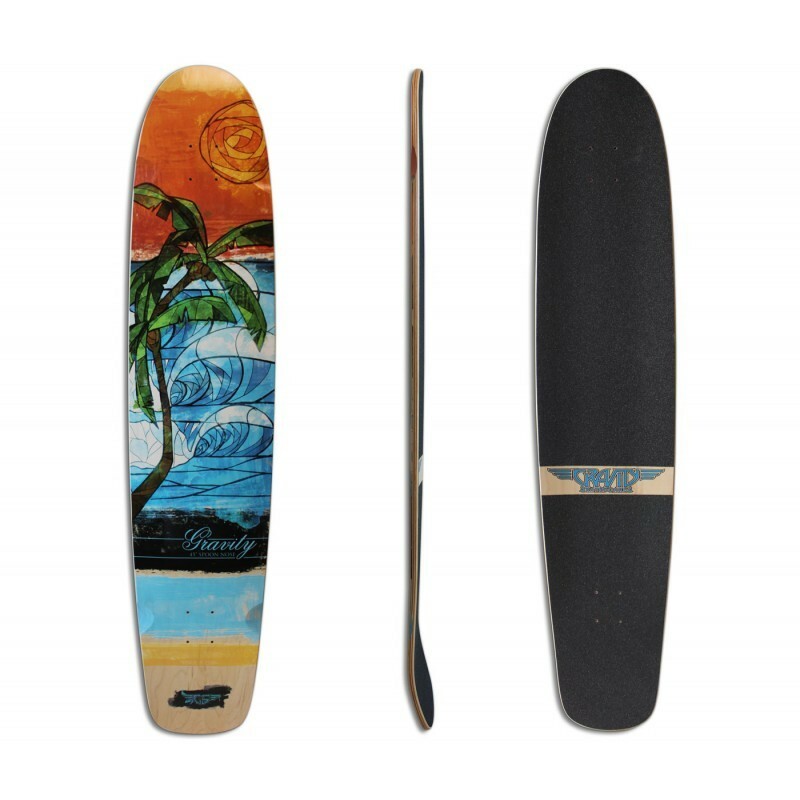 It has light concave with medium flex for a forgiving ride and a kicktail so you can do kick turns and ollies making it a versatile freeride, cruiser longboard. The longer wheelbase makes the longboard a more stable ride for beginners while still offering a loose responsive ride for more advanced riders.